Would you like “Drives” with that? Have you ever been in a situation where you needed to transfer large files from one computer to another, but have no way of doing so? Have you ever lost all your digital files, and thought “I should have backed up all my important documents”? This is why a USB key is a great item to have around, as it provides practical every day and future use. When companies come to us for promotional recommendations, we highly suggest USB drives due to its simplistic and usefulness nature, especially in today’s techno day and age. These small, file-holding devices come in all different shapes and sizes and its creative flexibility provides businesses with the ability to align the right style that resonates with their brand and message. Prices vary depending on the memory size, to the design of the USB key, but the functionality remains the same – providing digital “peace-of-mind”. 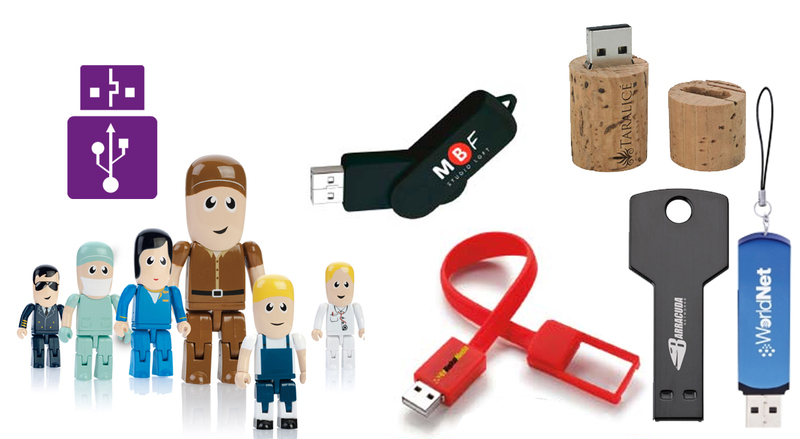 If you are looking for a simple promotional solution, consider USB drives!